I’m a beginning property investor. I have been negotiating to purchase a condo as a short sale. The condo is worth $500,000 and owner still owes $1 million on the mortgage. We got short sale approval from the lender, but the homeowner’s association just held a foreclose sale and now owns the condo. The HOA is in the process of evicting the former owner. I still want the property. Should I contact the HOA and try to buy the property from it or ask it to stop the eviction so I can finish the short sale? There is dirty work that needs to be done here. I would back off just a bit and let the HOA do it for you. If you buy the condo right now, you will be stuck evicting the former owner. Why not let the HOA do it? Rather than delay the eviction, let it go full speed ahead at the HOA’s expense. What you can do right now is negotiate with the HOA to buy the property. As things stand, the HOA owns this property subject to that million dollar mortgage. One of two things will happen. the mortgage lender will foreclose on the HOA. In addition to conditions you would require for any condo purchase, you should also require that the unit be vacant, that it be subject to your approval on a final walk through inspection, that the lender agrees to the short sale, and that the time period in which the former owner can redeem the property has expired. The last thing you want is to buy a damaged property with the ex-owner still living in it, or else buy the property, improve it, and then have the ex-owner try to reclaim it. I hope it works out for you. 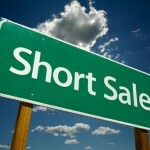 As investments go, these short sale deals often come up short.